We’re often asked if we do banners – Perth Graphics Centre specialises in them. We do vinyl banners, rollup banners and flag banners. Vinyl banners are the easiest and cheapest sign to make in a large size or quantity and because they can be rolled up and stored, vinyl banners can be used over and over again. 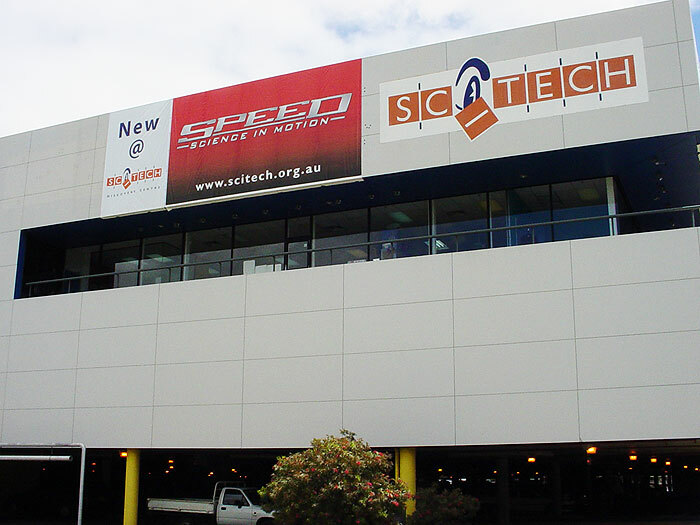 Perth Graphics Centre can produce vinyl banners big enough to cover the side of a building (like the one we did for Scitech above), or to cross a street. Alternatively you can make a banner sign to sit out the front of your shop with a big “SALE NOW ON” message if you require. Anything is possible, so please tell us what kind of banner sign you’re after, and we’ll get you the best price and the quickest turnaround. Call us today.